Jerry Dias: "This is one of GM's most profitable plants. They can't make a unilateral decision to take away the Terrain and lay off hundreds of people and be naive enough to think we won't have a reaction." Workers striking a key General Motors assembly plant in Ontario could picket for a long while, Unifor President Jerry Dias said. Dias, in an interview with Automotive News Canada, said "major philosophical differences" over the long-term future of CAMI Assembly in Ingersoll, Ontario, are driving a wedge between GM and Unifor. CAMI employs about 2,750 workers and does the bulk of North American production for the Chevrolet Equinox, GM's top-selling crossover in Canada and the United States. Dias said GM was unwilling to designate CAMI as the lead North American producer of the Equinox, stoking concerns that GM could eventually shift production out of Canada and into Mexico. The union is also aiming for a significant investment into the plant and a new product to build, following the departure earlier this year of the GMC Terrain to Mexico. About 400 workers were laid off as a result of the move, while another 200 took early retirement packages. "This is one of GM's most profitable plants," Dias said. "They can't make a unilateral decision to take away the Terrain and lay off hundreds of people and be naive enough to think we won't have a reaction." In a statement, GM Canada urged Unifor to "resume negotiations" to secure a "competitive agreement" at the plant. "While General Motors of Canada and our Unifor partners have made very positive progress on several issues over the past weeks, the Company is disappointed that we were not able to complete a new agreement," the statement said. Workers at the plant went on strike at 10:59 p.m. Eastern time Sunday following a contentious round of bargaining. Local union leaders said that while talks were progressing in the hours leading up to the strike deadline, there was too much ground to be made up. "We put our best foot forward, and we don't believe the company is serious about our membership's demands," Unifor Local 88 President Dan Borthwick said. Local 88 represents CAMI workers. Dias said GM's refusal to commit long term to the plant is a decision that stems directly from the North American Free Trade Agreement. He said GM, like other automakers, is exploiting cheaper labour in Mexico at the expense of Canadian and American workers. "No wonder we're digging in. This plant is the poster child for what's wrong with NAFTA, even when you're the best plant in the world," Dias said. "As long as they can build in Mexico for $2 an hour or less, they'll do that." Dias and other labour leaders in Canada, the United States and Mexico have been deeply involved in NAFTA renegotiations, which are set to resume in Ottawa on Saturday. 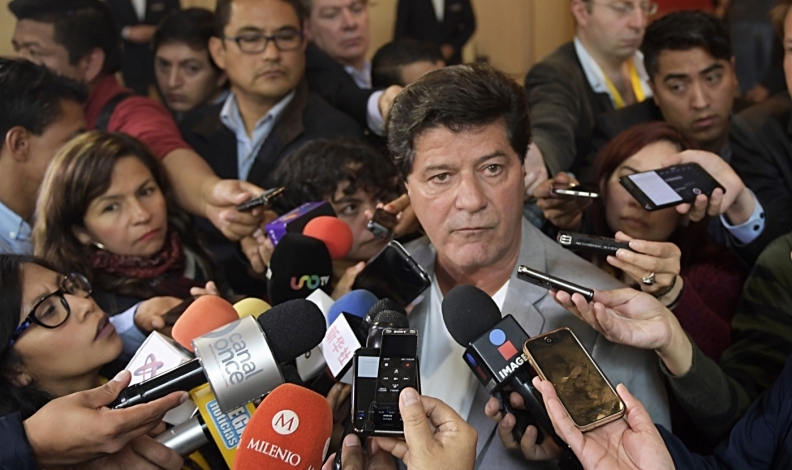 Dias has been sharply critical of the agreement, saying Canadian autoworkers would be better off with NAFTA being scrapped than it would be if a new deal failed to include higher labour standards in Mexico. The union is seeking major investments in the plant that would signal a long-term commitment from GM, Dias said. However, he said the automaker has proposed only marginal investments for "nothing more than maintenance" in the plant. Dias said it is crucial for the union to secure investments now, as the U.S. auto market is just beginning to decline and while Canadian sales continue to rise. Waiting for the next round of bargaining in four years would likely mean bargaining in a weaker market. "We understand the uncertainty with this market," he said. GM invested $800 million in the plant leading up to production of the next-generation Equinox, which was ramped up this year. The Equinox is GM's top seller in a booming crossover segment. U.S. sales have gained 17 per cent to 185,223 units this year through August, while Canadian sales have jumped 40 per cent to 16,956 units at the same time. GM has fewer Equinox crossovers in stock in the United States than it did about a month ago. According to the Automotive News Data Center in Detroit, U.S. dealers held about 53 days of Equinox supply on Sept. 1, well below the 74 days of stock they held on Aug. 1 and behind the average 82-day stock for all Chevrolet models. GM also builds the Equinox at its San Luis Potosi and Ramos Arizpe plants in Mexico, although it builds more of the crossovers in Canada. The two Mexican plants have built 40,017 units through August of this year since production began in April, according to the Data Center. CAMI has built 132,288 of the crossovers since the beginning of the year. Workers at the GM CAMI plant, a joint venture between the automaker and Suzuki until 2009, are on a separate contract from other GM plants in Canada, which received four-year labour contracts last year. GM committed to $554 million in investments at those plants over the duration of that contract.